Pokémon GO was updated yesterday with a few fixes and minor changes, but Niantic didn't bring back the recently removed tracking feature. However, a small subset of users are getting the chance to test a new version of tracking. It seems to be a server-side switch, so you'll just have to cross your fingers and hope you have it. If you're a rural player, though, prepare to be disappointed. This version of "Nearby" is highly dependent on Pokéstops. Players in the test are now seeing two sections of the Pokémon panel. There's Sightings, which everyone has. That's just a list of Pokémon that are in your general vicinity. 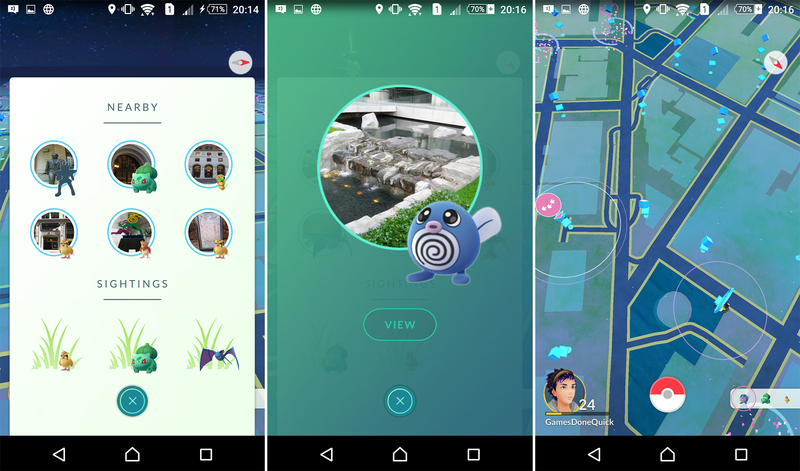 The Nearby panel shows Pokémon that are close to Pokéstops. When you tap on one, the game shows you where on the map that Pokéstop is. So, head to that area, and you'll probably find the promised Pokémon. The obvious issue here is that not everyone has a lot of Pokéstops in their area. At least with the old tracking, rural players had some hope of finding rare spawns. Now, if there's no Pokéstop close enough, you just get the useless Sightings list. In cities there are enough Pokéstops that you can basically locate every Pokémon nearby with high precision. This is still just a test, though. It's possible Niantic will make changes before the new tracking system is rolled out widely. Although, Niantic hasn't made the best decisions thus far. We can hope.